Sometimes ya just wannna have fun! 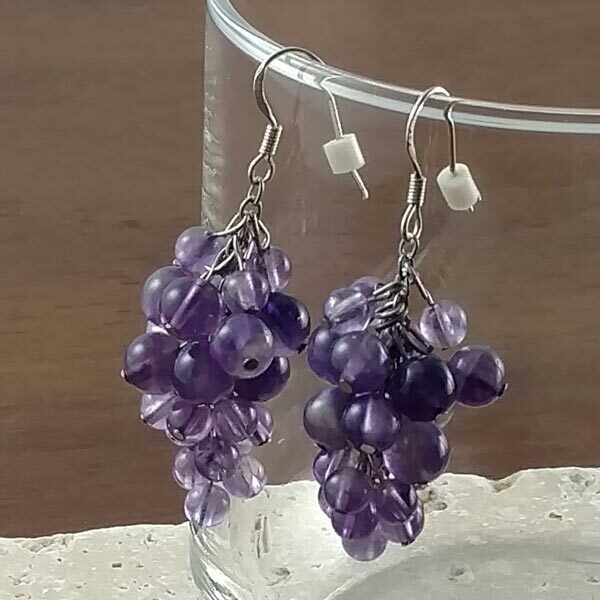 Gemstone "Grapes" make some fun earrings! Available in three varieties. 2" length, about 5/8" wide. Sterling French ear wires, ear nuts included.